Magnetic Level 150mm lightweight magnetic level, manufactured from aluminium alloy material and magnetic base. uper bright 1W COB 100 Lumens. 28 LED Aluminium Torch 28 LED''s - 100 Lumens. Supplied with 3AAA batteries. 28 LED Aluminium Torch 28 LED's - 100 Lumens. Supplied with 3AAA batteries. simple push button operation with 28 LED's - 100 Lumens. 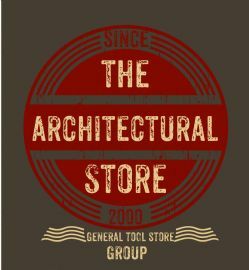 Traditional style, quality garden tools. 25, 50 and 75mm (1" 2" 3") one of each. Manufactured from ABS with rubberized finish. Manufactured from ABS material, complete with three magnets and swivel hanging hook. 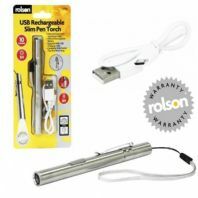 4 in 1 Stylus, Laser, LED & Ballpoint Pen For use with most touch screen devices, that require a stylus. for use with most cordless/variable speed drills that have forward and reverse mode. Manufactured from Chrome Vanadium Steel with soft cushion grips. Manufactured from Steel material with hollow pins and steel plates. three digit combination carabiner lock. heat treated black paint casing to help prevent rust. Folded size 14 x 59 x 8mm. PERFECT FOR POSTIONING ANYWHERE THAT DOESNT HAVE MAINS POWER. Mini spirit level with keyring. Manufactured from ABS material with high transparency polycarbonate lens. Manufactured from chrome plated steel. Dimensions 40 x 12mm and belt clip on reverse. Great for car repairs in the workshop or garage, or even in the garden. Magnetised tray to keep screws in place. Rolson's 10W LED rechargeable work light. ​Rechargeable and cordless for safety and convenience. 2D torch 108 lumens - Light mode on/off, supplied with 2D batteries and complete with wrist strap. Die cast Aluminium work light, with head that can be angled upto 120degrees and carry handle. Light mode on/off. Dimensions 90 x 90 x 205mm. 1400 Lumens, halogen equivalent 70W. Long Reach Locking Pliers 380mm long reach pliers manufactured from durable steel and nickel plated. Can be used in confined spaces for clamping etc. Rolson's 3W COB solar powered PIR security light. ​For use in the home, office, warehouse etc. Die cast aluminium body with tempered glass. ​ Heavy duty boot scrubber made from durable steel and hardwood. Rolson's double cylinder foot pump. ​For cars, motorbikes, bicycles and all inflatables. supplied with 230V, 12V plugs and standard USB. Manufactured from aluminium, with Z5 LED technology.